Our semi vacuum units are operated by professionals who have been in the industry for years. 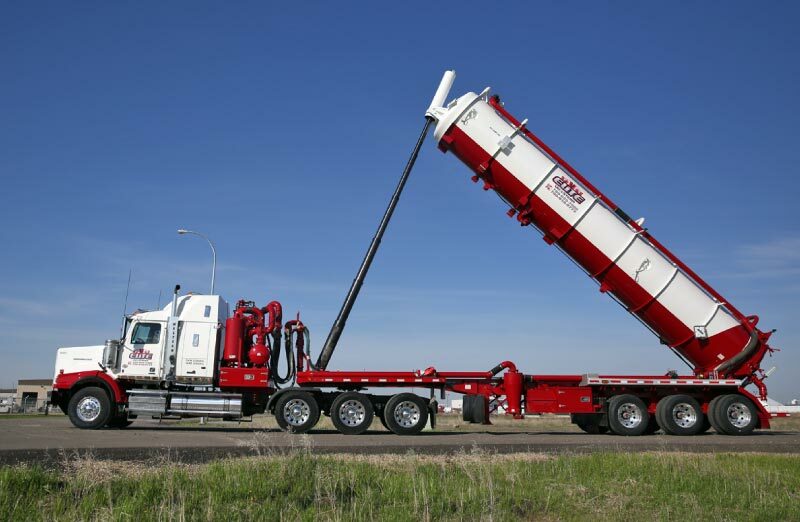 For all fluid and drilling mud hauling, contaminated soil cleanups, and septic hauling, we can supply the equipment to get the job done. For all your large volume hauling requirements. Give us a call today! We like our equipment to be state of the art and well maintained. At Elite Vac & Steam, we rig up our units with high-capacity pumps capable of handling almost any job. In house mechanics and highly trained operators keep each piece of equipment clean and in impeccable condition, ready to serve you better. Our semi vacuum units are capable of hauling large volumes of water, debris and waste. Our services extend from Grande Prairie, Peace River, and beyond. Call us today to access our full line of Vacuum/Steam, Fluid hauling and Rental services. Interested in Semi Vac Services?